July 29, 2015 July 29, 2015 ~ Nortina S.
I had plans to include this poem and a handful of others into a chapbook about pain and loss and emerging out of a toxic relationship a better person. Unfortunately, I have a problem with finishing what I start. Hopefully, sharing this poem will reinvigorate my desire to publish that chapbook. Enjoy! Jewelry, shoes, phones, TVs, guns, galore. You call me to implore. I pray it to be true. Wondering why you don’t write to me anymore. Wondering why you don’t call me anymore. Wondering why you don’t want to see me anymore. You still don’t write to me anymore. You still don’t call me anymore. I’m glad I don’t have to write to you anymore. Says I’m a lying whore? Hee . . .hee . . . whoo . . .
You better pray you don’t see me anymore. Will be arriving very soon? I don’t care that you don’t call me anymore. This is such a poignant poem (as always)! Though I cannot relate to the specific kind of heartache of most of the poem, I can definitely relate to the so-good-it-hurts love between a mother and child. Thank you for sharing this! Also, PUBLISH. THAT. CHAPBOOK! Thank you! And I’m not going to waste any more time on that chapbook! The only thing stopping me is me. How well you described the situation – so vivid imagery! So you went through so much and glad that you had the strength to move on! Thank you. I hope sharing this poem will help others to gather the strength to move on too. Nortina, oh my goodness. This is heartbreaking and heartwarming at the same time. I like how we got to see the journey from beginning to end – love, happiness, disappointment, hurt, anger, acceptance. I can’t even put into words how good this is. 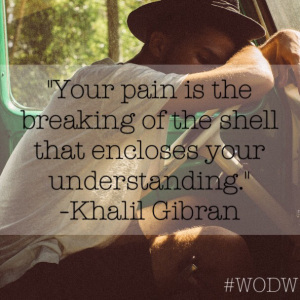 Thank you so, SO much for sharing your heart with us for #WODW!